Kogentix, a privately held startup based in Chicago, announced today a range of applications and solutions designed to help accelerate the business impact of big data for customers. 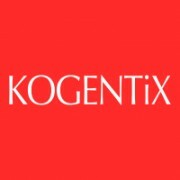 Schaumburg, IL, September 22, 2015	(Newswire.com) - ​​​Kogentix, a privately held startup based in Chicago, announced today a range of applications and solutions designed to help accelerate the business impact of big data for customers. Kogentix has been implementing advanced analytical solutions and providing services to Fortune 500 customers across industry vertical segments, including financial services, healthcare, retail, and consumer goods. Leveraging the insights and experience from the many engagements that the leadership team has successfully implemented, Kogentix is launching analytical applications that address the real-world business challenges for customers that want immediate value from Hadoop and Spark deployments. In addition to rapidly growing their capabilities to deliver applications and solutions, Kogentix has announced that Boyd Davis, a proven leader in the big data market, has joined the leadership team as Chief Executive Officer. Kogentix service offerings include both assessment and implementation for platform deployment, data integration, and decision sciences. The company’s model is to deliver solutions that generate rapid, practical results, built on an architectural foundation designed for future application growth. Beta versions of the new applications will be made available first to existing services customers by the end of 2015. They can be deployed on a customer’s Hadoop stack or run as a service in the cloud. The offerings include application operational intelligence to enable a broad range of packaged and customer applications, as well as a customer care analytics application and a device management and analytics application targeted at Internet of Things (IoT). Mr. Davis joins Kogentix after serving as Chief Operating Officer of Cask, a big data startup delivering an application platform for Hadoop. Prior to that, Davis formed and led as General Manager the Intel Datacenter Software Division. In that role, Davis launched Intel’s distribution of Hadoop, and ultimately led the transition of Intel’s Hadoop business to Cloudera. Mr. Davis joins an experienced leadership team, including founders Sanjay Gogia, Jai Malhotra, and Krishna Nimmagadda. The leadership team and the growing team of developers, architects, and consultants puts Kogentix in a unique position to deliver high value to customers, from big data strategy to architecture definition to implementation and even operation of applications built around Hadoop and Spark. Kogentix is a big data software and services startup based in Chicago, with offices in Silicon Valley, India, Portland, OR and Washington DC. Kogentix was founded on the premise that breakthrough open source big data technology can best reach its business impact potential through the deployment of practical applications that integrate with both existing technology and established business processes. Kogentix applications and services are used by leaders in a range of vertical markets, including financial services, consumer goods, healthcare, telecommunications, and industrial equipment. If you would like more information about this topic, please contact Boyd Davis at 503.866.6803 or email at boyd@kogentix.com. Kogentix, headquartered near Chicago with offices in Singapore, Indonesia, India, and locations across the United States, is a leading AI software and services firm offering practical artificial intelligence solutions fueled by big data.